Time doesn't really exist - at least not in the way the average human mind can comprehend. Gary Bullock takes this idea to a whole new level when he crafted Elsewhen. Laura Elizabeth Austin and Elijah Grant appear as children in the early stages of the book. They are both considered to be of very high intelligence, even though they were surrounded by farm country in their little rural community. However, Laura Bess, as she was referred to, already knew that she could communicate with people who were not from her time and space. Lije didn't know this about Laura Bess, but he was her constant companion throughout their childhood. By the time they were adults, they were no longer together until Laura Bess suddenly appeared out of thin air one day. Breaking Lije's heart she disappeared once again. What he didn't know was that as much as she wanted to be with him she didn't have full control over her comings and goings. Eventually, the Indian woman from the prologue made a little bit of sense and her connection to a comet that is brighter and more amazing than Halley's comet. The question remained though as to whether or not Laura Bess and Lije would be able to reconnect and share a life together. 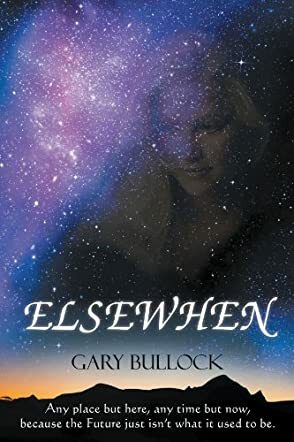 Gary Bullock's Elsewhen may leave you scratching your head a number of times throughout the story. The first few lines in which Reverend Thurston makes a supposed "private pun" sets the stage for a number of confusing comments here and there throughout that are not ideas or quotes that the average reader is going to instantly connect to and get a giggle from. He does offer some insight into a few of these confusing pieces at the end in a "notes" section though. Overall, Elsewhen will make you view time and space differently. What if there really are parallel planes of existence? What if you could simply focus and step into a different one? Elsewhen is an intriguing tale that will boggle the mind if you try too hard to prove such potentiality.